Rachel Hoeck is the young woman waiting for Tyler's proposal. She senses that though he loves her and wishes to make a commitment to her and his Amish beliefs, part of him still wonders whether an Amish lifestyle is truly for him. 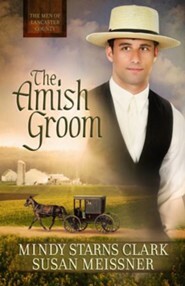 I'm the author/artist and I want to review Amish Groom, The - eBook.